Dance Shoes for Lindy Hop Followers – Swing or Nothing! Hey there followers! So you’ve started swing dancing and you’re having trouble finding the right shoes. Heels are too high and uncomfortable, sneakers have too much tread on the soles, and ballroom dance shoes don’t have enough support. What to do? Keds are a classic tennis shoe with surprisingly awesome soles. Slick enough that you can swivel and spin, sticky enough that you can grip the floor with confidence. Whitey’s Lindy Hoppers wore Keds back in the 1930’s! How cool is that. 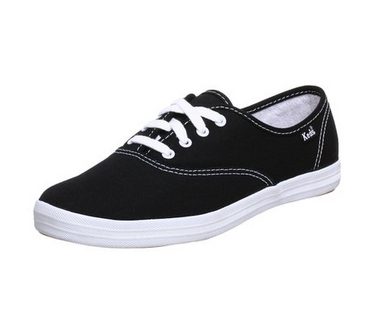 You can buy the classic Keds “Champion Sneaker” at Nordstrom, Macy’s, or online at Keds.com and Amazon. But maybe the floor still feels too sticky in “street shoes” (a term for regular shoes with rubber soles). When it comes to dance shoes, you have the choice of suede or leather soles. Leather soles are excellent for swing dancing, but they are very slick – I don’t recommend them for beginner follows. 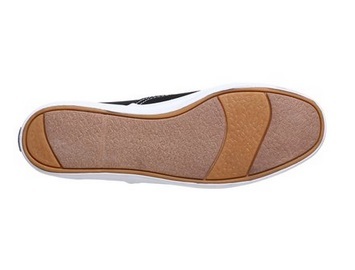 Suede allows you to slide but also grip the floor. If you have your heart set on wearing heels when you start dancing (like I did), work your way up to it. Heels can be a great learning tool: they force you to think about your balance, and the distribution of your weight between the balls of your feet and your heels. But as you’re mastering the basics, you have plenty of things to worry about besides not falling over. 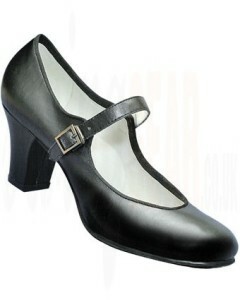 When you are ready, low-heel, closed-toe shoes are easier to wear swing dancing. ← Where is the One?